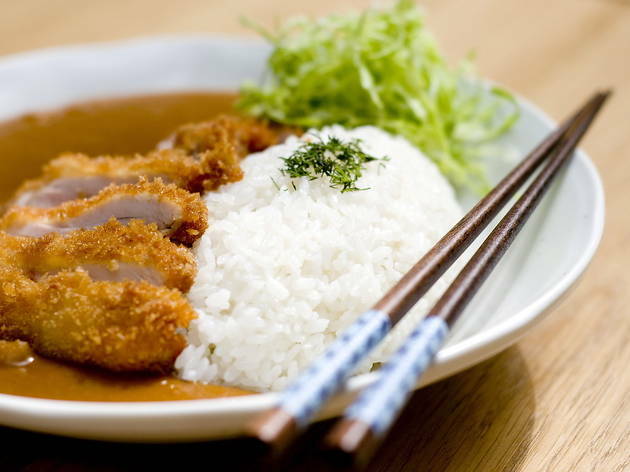 Japanese food seems to be available everywhere these days, at strip-mall restaurants offering lunchtime bento fixes and at trendy ramen joints in New York, Los Angeles, Chicago and Austin. 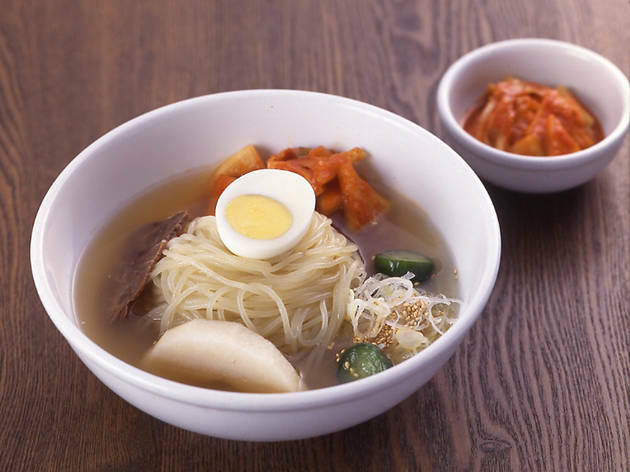 (For our picks, check out our list of the best ramen restaurants in America.) 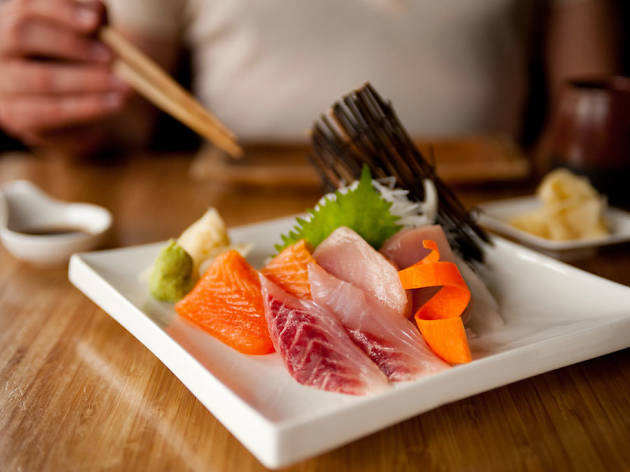 On this list, we celebrate the very best Japanese food we’ve ever tasted: restaurants that serve incredibly fresh sushi and sashimi (for more, check our picks for the best sushi restaurants in America), often with innovative twists. 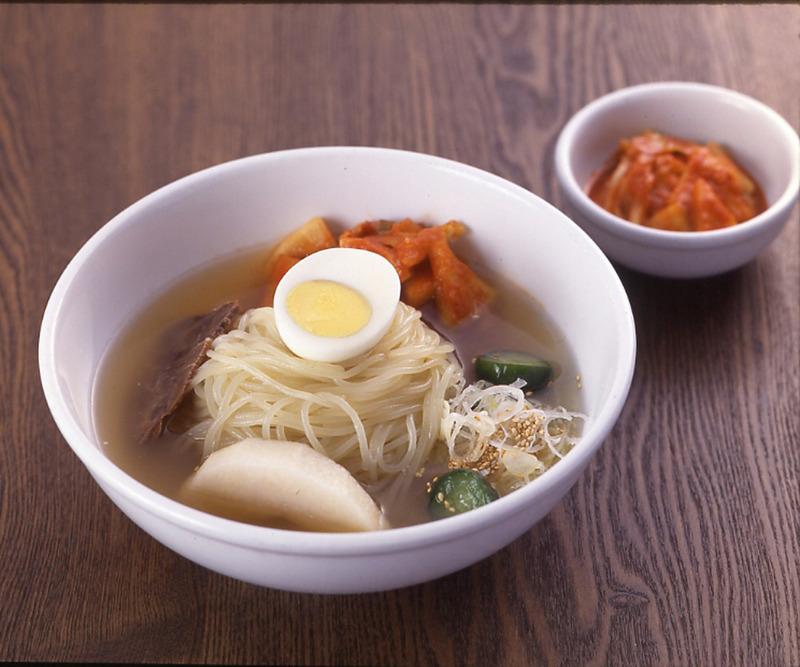 They offer expertly crafted traditional dishes, as well as modern takes that fuse American techniques and flavors with ancient practices. 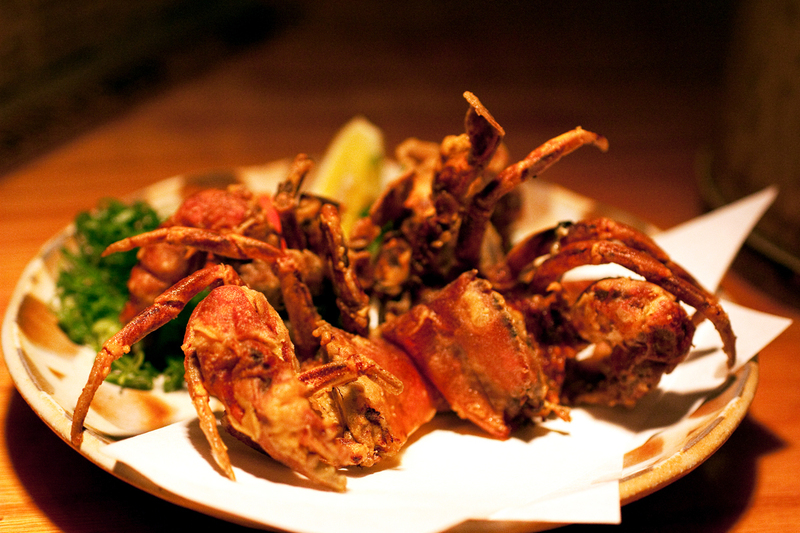 And we love them a little extra if they serve great sake and Japanese craft beer. Join us in raising a glass (kanpai!) 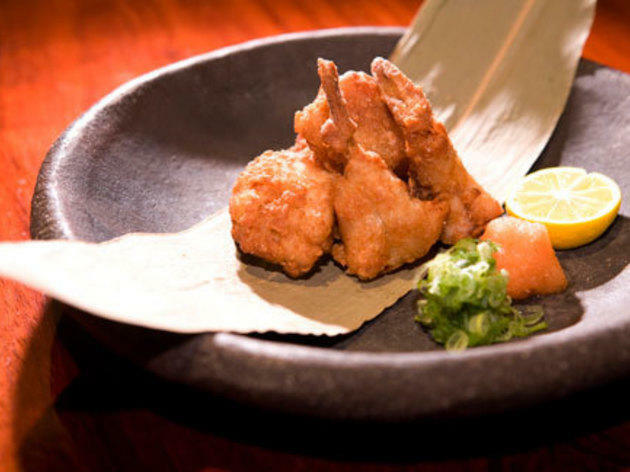 to the best Japanese restaurants in America. 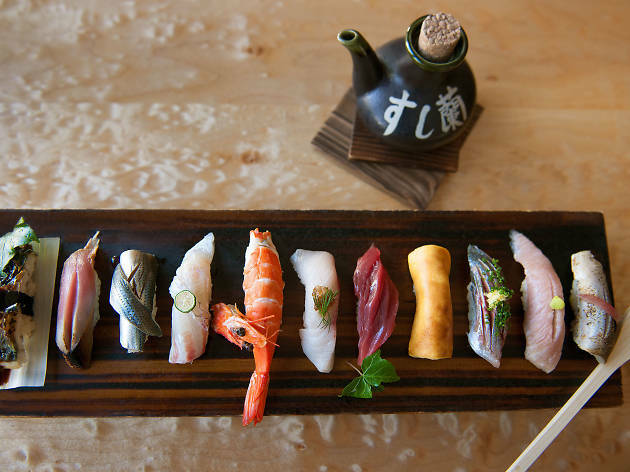 A favorite of both local and visiting chefs, Raku is housed unceremoniously in a Chinatown strip mall, but it's one of the most compelling reasons to get off the Strip. 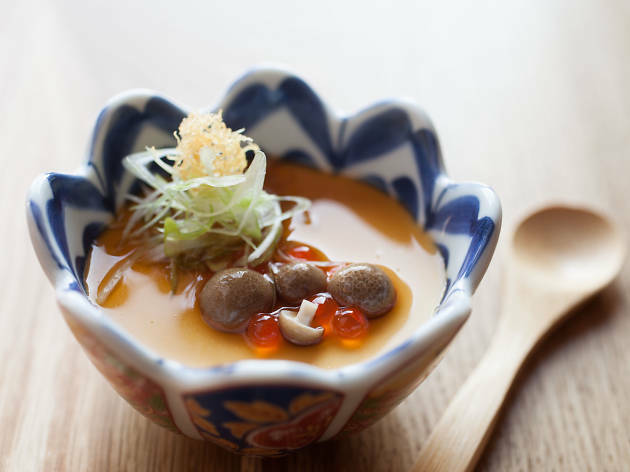 No sushi is served in the James Beard Award-nominated restaurant's diminutive digs, just Japanese favorites like silky house-made tofu, exotic offerings like Kobe beef liver sashimi and plenty of comfort food—from udon noodle soups to donburi (egg-and-rice bowls). 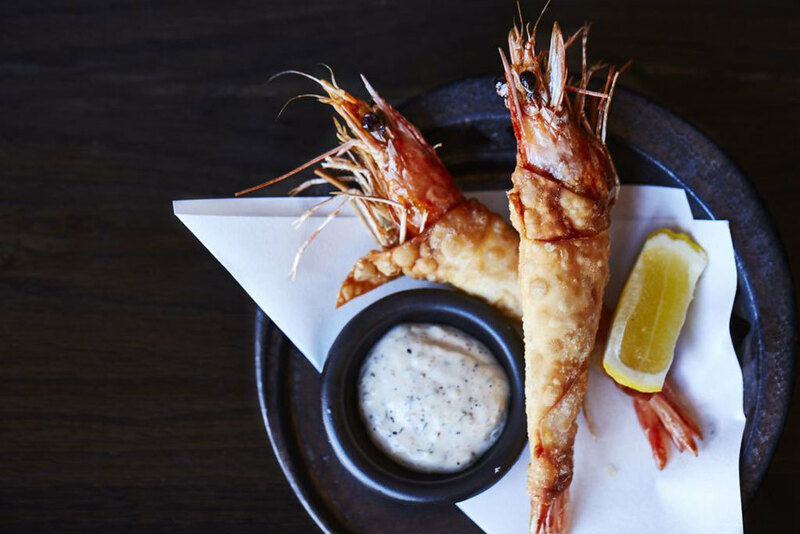 You'll also find a long lineup of items destined for the robata grill, which uses charcoal imported from Japan for just the right degree of crispness: everything from Iberico pork to apple-marinated lamb chop to enoki mushroom with bacon. If you crave something sweet after all that fine imported soy sauce, head to Raku Sweets, a desserts-only restaurant, just across the parking lot. In 2010, Naomichi Yasuda shocked devotees of his lauded Midtown stalwart—open since 1999—when he announced that he would be returning to Japan. Fans breathed a sigh of relief when he turned the simple counter over to longtime kitchen lieutenants Tatsuya Sekiguchi and Mitsuru Tamura, the latter of whom is still there. 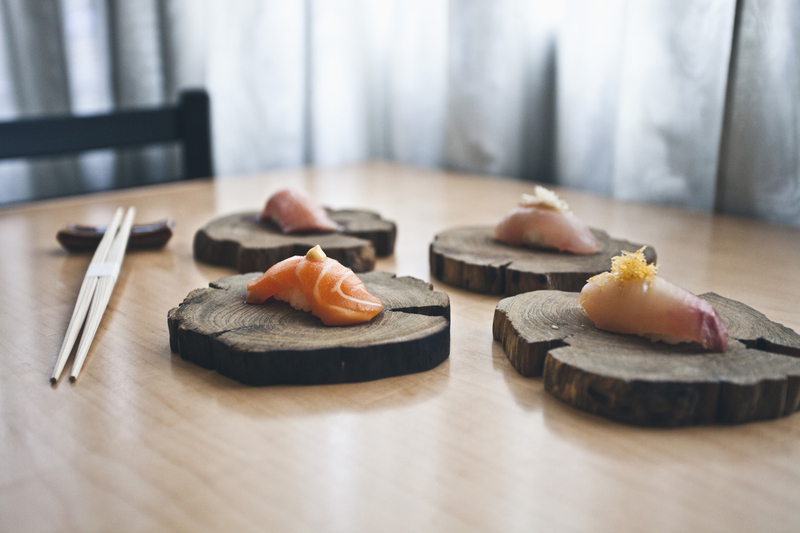 Reserve a seat at the bar to watch Mitsu—as he is affectionately called by regulars—dispatch purist renditions of nigiri onto wooden trays in elegant, efficient movements. 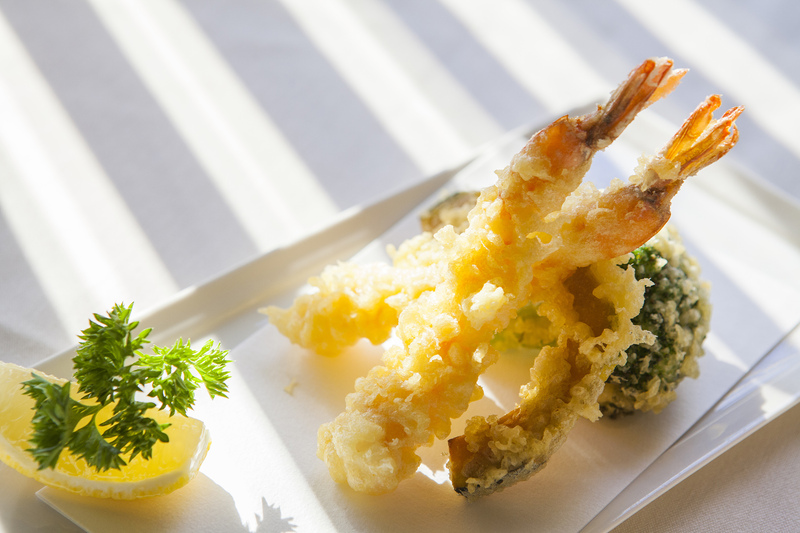 Like the old master, Tamura eschews over-the-top combos, letting the prime seafood and his superior knife skills shine. 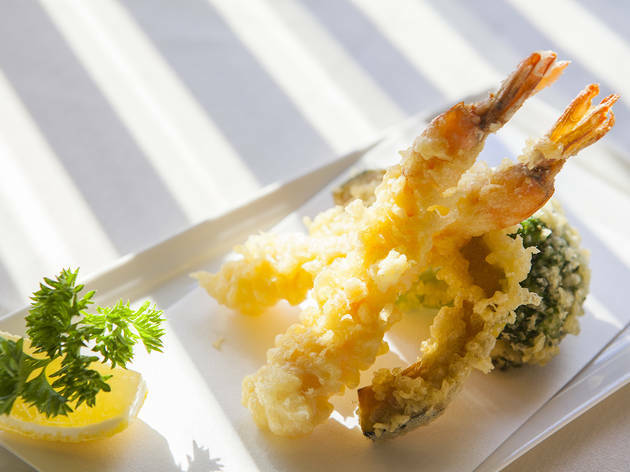 He tops rounds of lightly vinegar-moistened rice with beautiful seafood, like a meltingly soft slab of fatty tuna; a milky disk of sweet sea scallop; or baby squid brightened with shiso and wasabi. 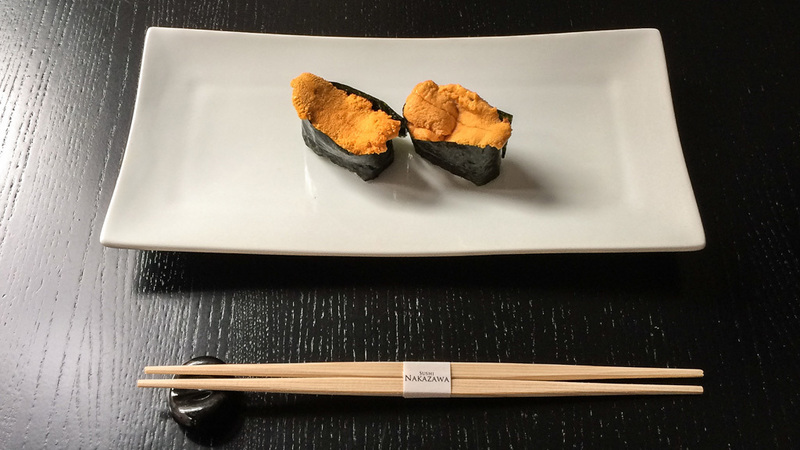 That top-shelf sourcing doesn’t come cheap, and reservations are booked out far in advance, but even without its namesake toque, this storied sushi den is still worth the price of admission. 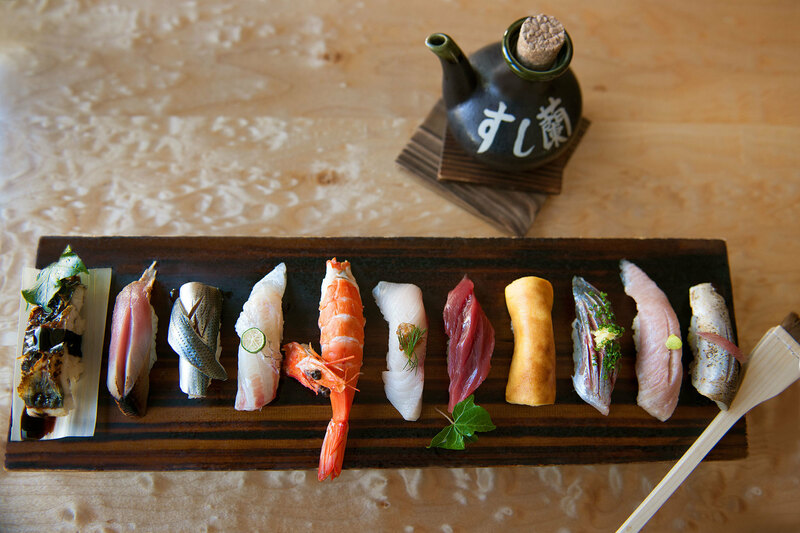 In the pretty seaside village of Sausalito just across the Golden Gate Bridge, Sushi Ran has been turning out what many consider to be the Bay Area's best sushi for over 30 years. 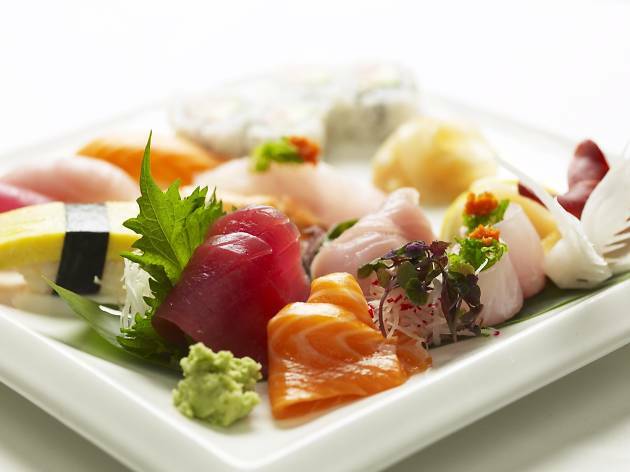 The sushi menu is executed by Michelin-starred chef Seiji Wakabayashi, who delivers impeccably fresh, maki, nigiri and sashimi dishes that are miniature works of art. The equally delightful non-sushi side of the menu is worth a look, with specialties such as shrimp-scallop dumplings and wagyu beef carpaccio with watercress and green apple. 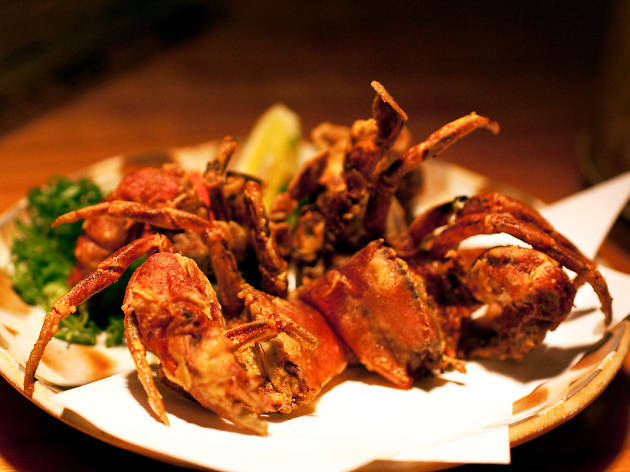 Though Kyo Ya, the city’s most ambitious Japanese speakeasy, is marked only by an “open” sign, in-the-know eaters have long packed this subterranean haven. One perk they particularly enjoy? It’s not necessary to shell out for the omakase, a pricey commitment available only by booking ahead, to eat terribly well here. 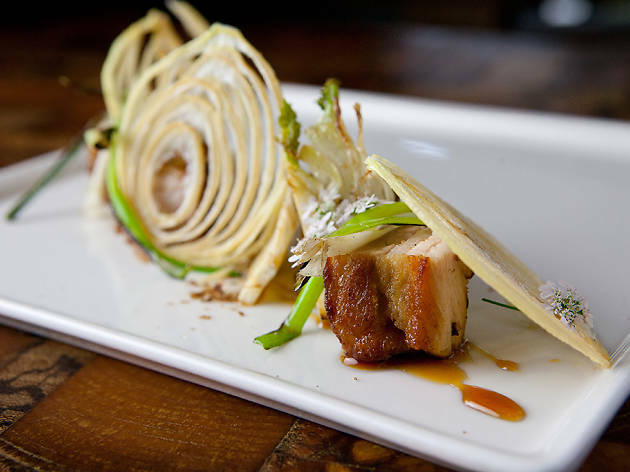 Instead, cobble together a small-plate feast from the voluminous menu, featuring dishes you’re not likely to find elsewhere in Manhattan. 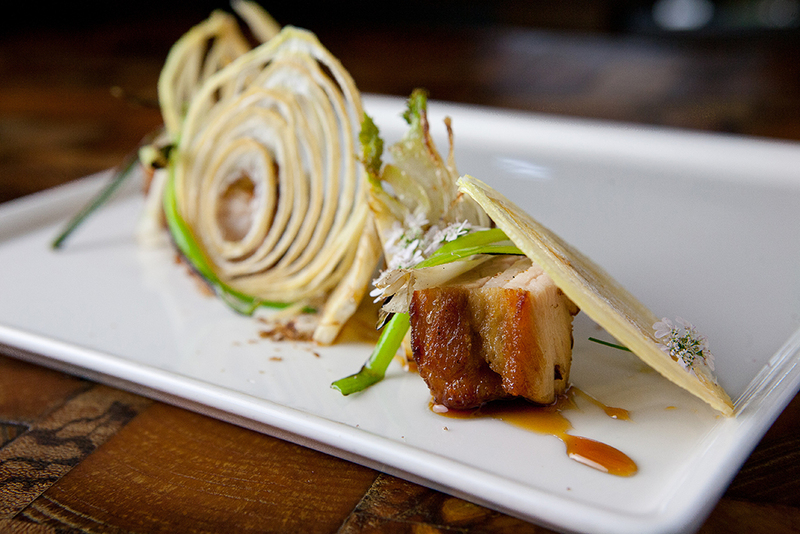 The food, presented on beautiful handmade plates, is almost too gorgeous to eat. 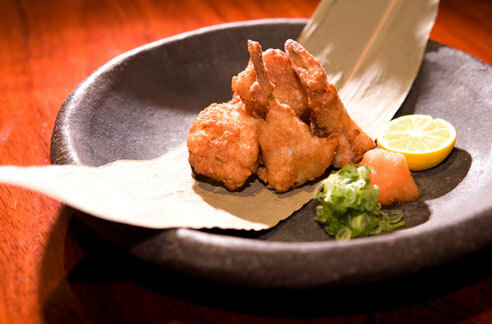 Maitake mushrooms are fried in the lightest tempura batter and delivered like gold nuggets on a polished stone bed, and while the restaurant is about much more than sushi, raw fish has its place. 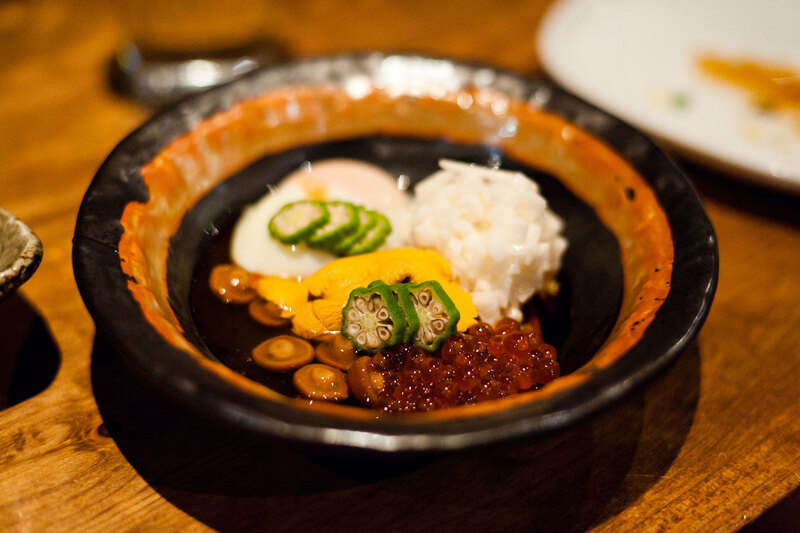 A daily-changing selection is pressed with a hot iron onto sticky vinegared rice. The pre-seasoned fish—no soy sauce needed—is topped like a still life with its own microgreen forest. This traditionally decorated local favorite near the University of Hawaii serves some of the freshest seafood you'll find anywhere, so recently plucked from the ocean that it quivers and glistens on the plate. 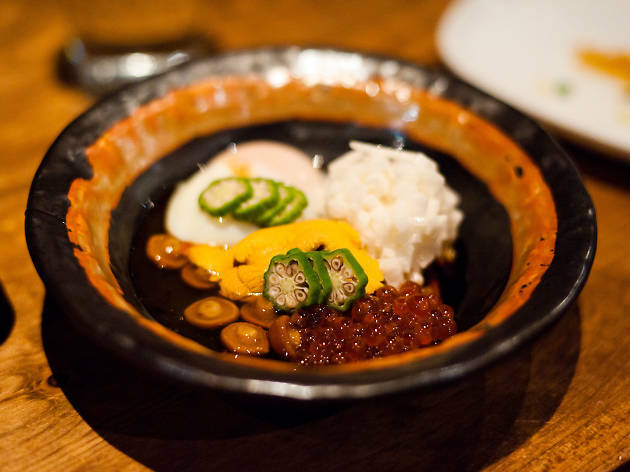 But sushi isn't the only reason to head to Imanas Tei—there's also excellent shabu-shabu, that classic dish of boil-your-own vegetables and thinly sliced, marbled beef served with ponzu sauce, and nabe, or Japanese hot pot. There's a nice sake lineup to accompany all this as well. Reservations are an excellent idea here, or you may have to camp out quite a while on the benches out front as you await your table. 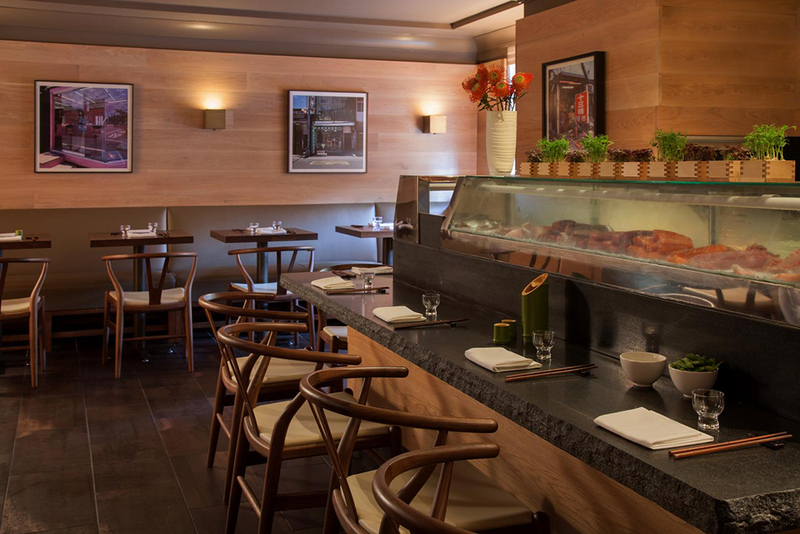 One of San Francisco’s priciest restaurants, SoMA’s three-year-old Omakase is also one of its smallest, making securing one of its in-demand 14 seats a tricky proposition. But if you manage to secure a sought-after reservation—and can afford to shell out the big bucks—you’re in for an unforgettable treat. True to the diminutive spot’s name, the only dining option here is omakase, a daily-changing menu that means “chef’s choice.” Choose the $100, $150 or $200 option, then settle in for a parade of precise cuts of pristine, Japanese-sourced fish, warm selections such as a dark, mysterious squid-ink cake and fat lobes of Mendocino-fished uni. Don’t forget to sip one of the restaurant’s impeccably chosen sakes. This small, newly opened Echo Park izakaya has quickly become an L.A. favorite, drawing crowds of lovers of Japanese food since it opened in February. 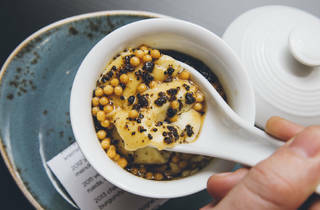 Chef Charles Namba turns out thoughtful, beautiful small plates that pair perfectly with the restaurant’s curated list of small-brewery Japanese beers and funky, unpasteurized sakes. 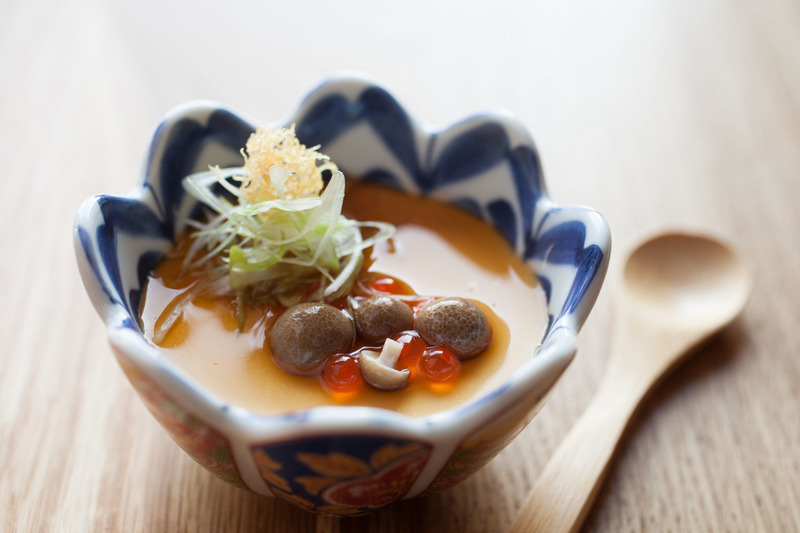 Sink your chopsticks into cold dishes such as silky sake-marinated lobes of foie gras with pickled apples and aged soy and hot plates such as delicate chawanmushi (egg custard) with sweet dungeness crab. 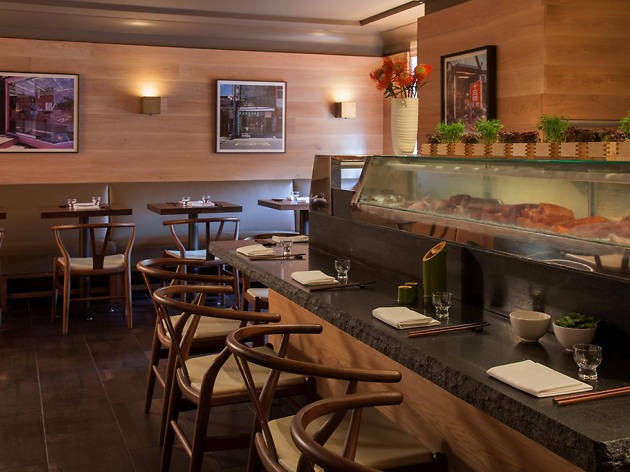 Who would've suspected that one of the most recognized contemporary sushi restaurants in the country would be in Texas, with a white-guy chef-owner, no less? It's true: The toque in question, Tyson Cole, has won numerous awards since the original Uchi opened in Austin in 2003, including Food & Wine's best new chefs of 2005 list and a James Beard Foundation Best Chef: Southwest award in 2011—and he's since gone on to open locations in Dallas and Houston, plus Uchiko, a sibling restaurant, in Austin. 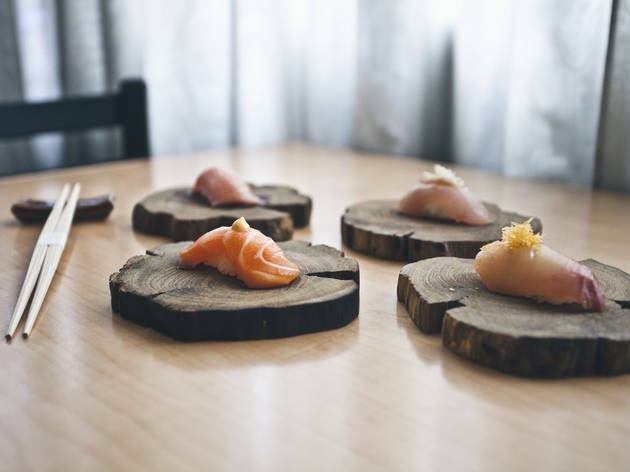 Fans flock to the original Uchi, located in a house on South Lamar Blvd, for top-notch fish, including some harder-to-find cuts, served as-is for purists or in creative renditions like the "hakujin" roll, with salmon, white asparagus, pear and fried apple puree. (There's excellent Wagyu beef, too, for the cowboy-boots crowd.) The daily "sake social" happy hour from 5 to 6:30pm offers drinks starting from $3 and rolls and snacks in the $4-$8 range. 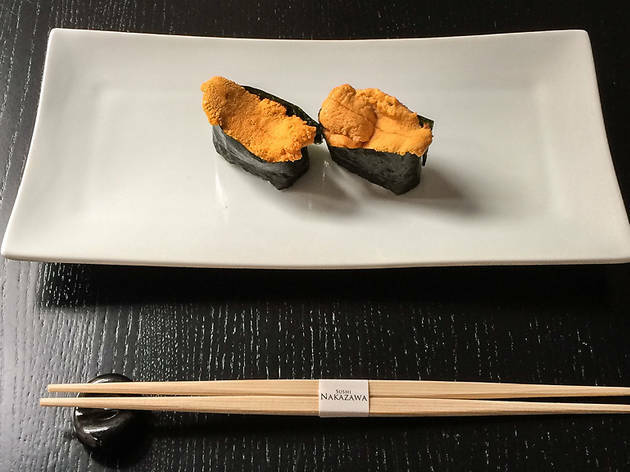 With a name like this, Uni sets up the expectation for some memorable sea urchin dishes, and it certainly delivers—the Uni Spoon is the stuff cravings are made of, with yuzu, a generous lobe of the namesake delicacy, quail-egg yolk and rarified osetra caviar (that's three kinds of egg, for those who are paying attention). 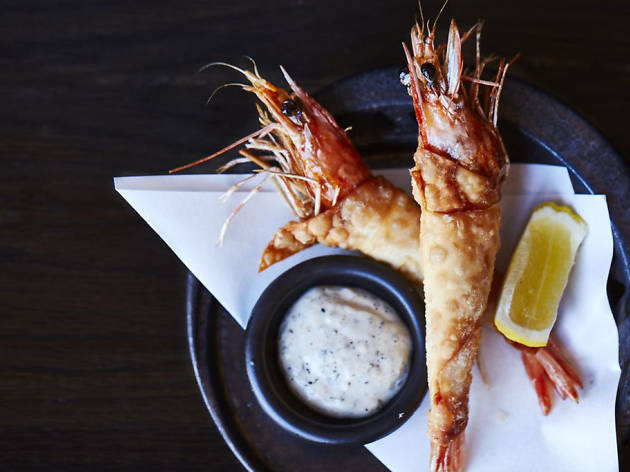 The rest of the menu is equally inventive, from a starter of raw langoustine with kaffir lime leaf to Thai-inspired duck carnitas served with scallion pancakes. 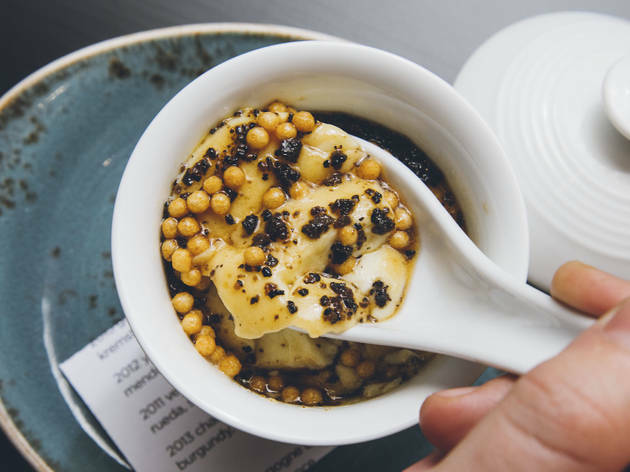 Beloved local restaurateur Ken Oringer (Coppa, Toro) recently closed his celebrated Clio restaurant after two decades and expanded Uni, formerly relegated to the lounge, into the full restaurant space. You won't see a sign outside of Go's Mart, only the word "sushi" in large lettering—which proves to be an understatement. Yes, there is sushi inside this small Canoga Park strip mall spot, but it is sushi topped with 24k gold leaf flakes and a sprinkling of truffle oil. 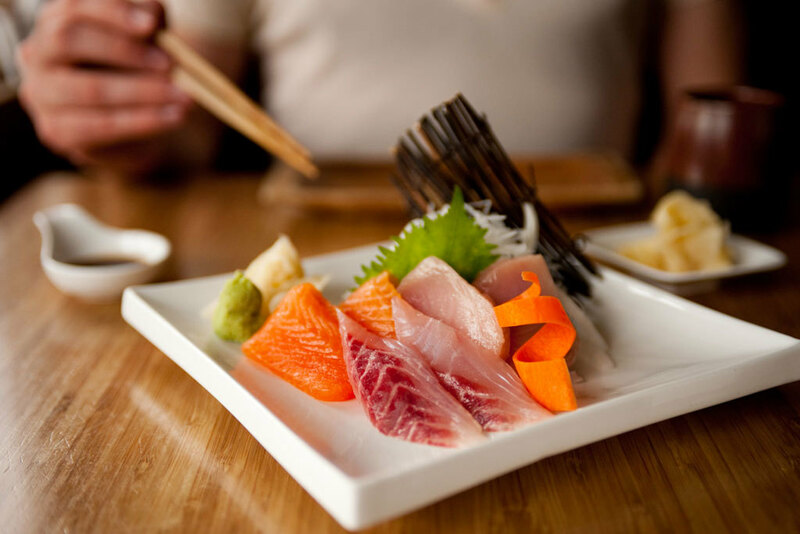 Two tables and a ten-seat sushi bar are where diners come for outstanding cuts of fish from chef Go, who opened this local favorite in 1997. After starting with a complimentary block of Chinese broccoli, you'd be wise to ask for toro. 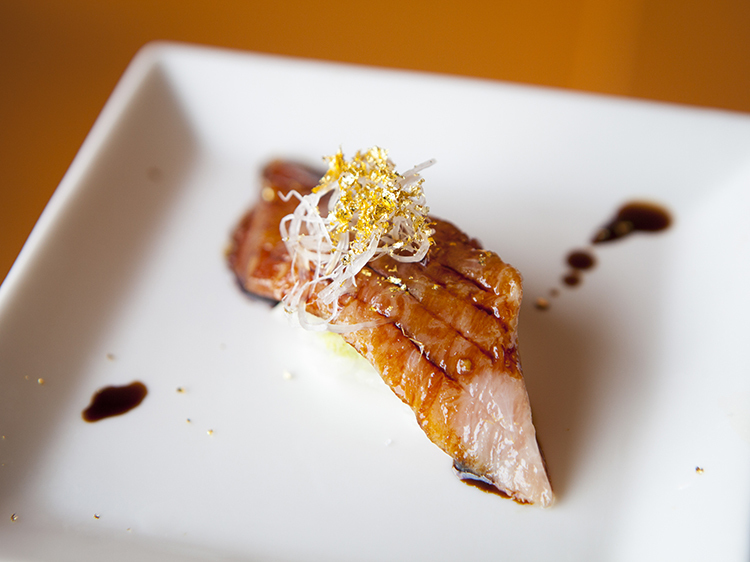 The plump tuna comes topped with the aforementioned gold flakes and just the right amount of wasabi is tucked into Go's exceptional rice. 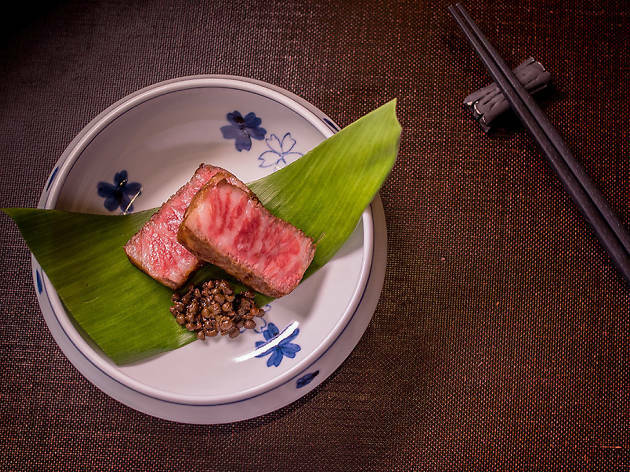 Japanese eel is slick with sweet unagi sauce and slivers of lemon rind on top, while a cut of meaty butterfish is an ethereal bite decorated with truffle oil and a hint of spice. It's a beautiful thing to watch Go and his crew in action, and even more so when you taste the complex fruits of their labor. 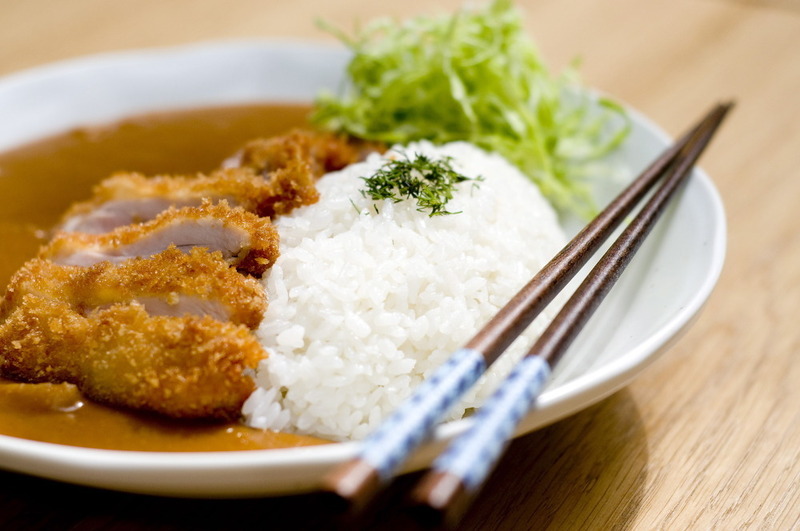 The best Japanese restaurants in Washington, D.C.